Over the past few days, I’ve been feeling a bit voyeuristic. Sometimes I feel a great temptation to open myself up, declaring to the world my manifold sins and weaknesses. Anybody who knows me know I’m all for honesty. However, I must confess that this voyeuristic temptation is less about honesty and more about guilt, or more accurately, absolution. In my heart of hearts, I know that inside me still dwells a very great impulse towards sin. And I suppose this desire to be confessional, while appearing to be pious, is actually rooted in vanity. Sometimes I believe that absolution can come just through confession, through simply telling God (and the world) all the dirty, nasty, or cruel little things I’ve thought or done. I get to shake the dust off my feet, wipe my face clean, and go about my day feeling breezy and light. But even as I type this I can feel within my heart the need for something much greater than simple confession. I need to actually give a damn about my confession and make some changes in my life. 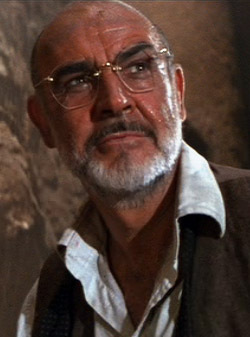 To quote the wise Dr. Henry Jones, Sr.: “Only the penitent man shall pass.” Thanks, Sean Connery. It’s so easy declare our sinfulness and move on, as if declaring our sinfulness is the endgame of Christian confession. But if I truly believe the words of St. Athanasius, “God became human that humans might become God”, then I must do something more than a mere speech act. I need to feel deep down in my bones the desire to stop sinning, the desire to embrace the perfection Jesus calls us to (see Matt. 5:48), and then cultivate this through prayer and action. It’s what the Orthodox call ascesis. It’s the radical notion that human beings can actually transcend sinfulness and embrace the perfection Jesus has called us to. Imagine that, the words of Jesus actually being taken seriously! Ascesis leads to divinization, to really embodying in our total humanity the transformative nature of the Divine. 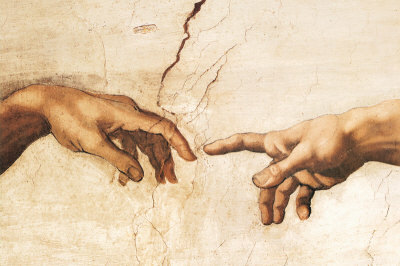 To quote again St. Athanasius: “Therefore He was not man, and then became God, but He was God, and then became man, and that to deify us.” To lift human nature out of the quagmire of brokenness and into the beauty and brilliance of the Divine Light right here and now. In all things, at all times and in all places, there is the potential for holiness, for ascesis, for divinization (see 2 Peter 1:3-4). But do I believe this? Of course I speak about such things as if they are true. Anyone who knows me knows my love for the Orthodox tradition and the Patristic writings on theosis and divinization. But do I believe that I, the sinful man that I am, can be the man, the divinized man, that God in Christ is calling me to be? Can I be something more than I am today? I’ve been feeling the weight of this question lately, and I can feel it as I read what I’ve just written. But this is a live question for me. Some days I believe that the grace of God can indeed transform me from sinfulness to grace, moving from glory to glory. Other days it’s much easier to focus on the brokenness. Does anybody else resonate with this spiritual dichotomy?